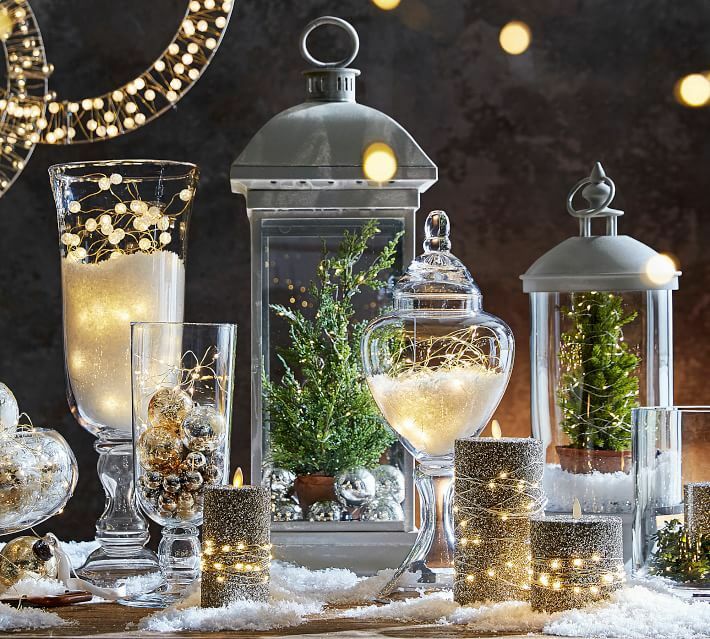 To help you ready your home for Christmas entertaining, we've gathered all the essentials you need to host a festive and fun gathering this season. 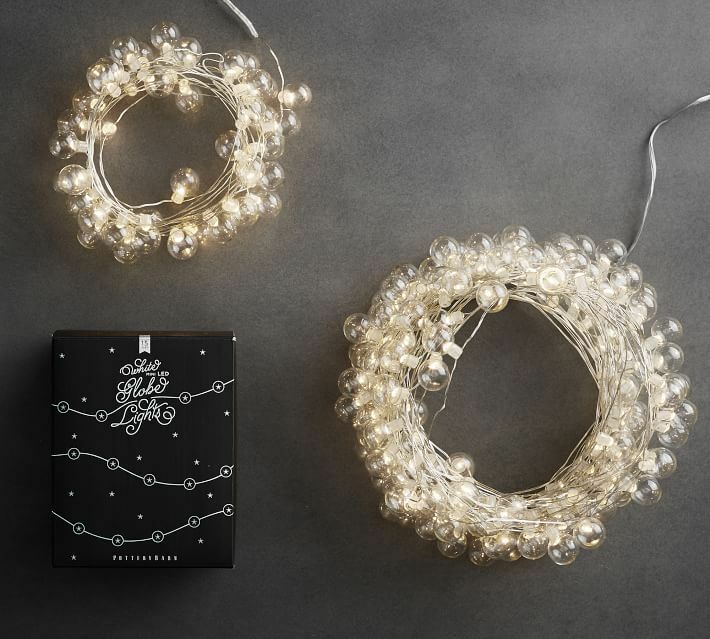 Naturally, no list of Christmas entertaining essentials is complete without some string lights. Where to put them? Everywhere, of course. Hang them from the banister, coil them in a clear vase, wrap them around the fireplace hearth or drape them on your bed frame—this time of year you can't have enough. Whether you use them to adorn a coffee table during the holiday season—layered with candles and knick-knacks—or serve hors d'oeuvres to your grateful guests, we love how these monogrammed lacquered trays look with Christmas decor. Of course, champagne is a must during the holiday season. But drinking out of an ordinary champagne glass? No way! There's no better excuse than, "It's Christmas!" to upgrade to the most glamorous barware around—the champagne coupe! We love this gold-rimmed set from Target that's worthy of a treat yourself occasion or perfect as a hostess gift, too. There's something about a music playing on a vinyl record that can change the whole mood of a party or gathering. We love the gentle crackling and clean authentic sound, whether or not you decide to spin some holiday albums or just some classic rock. There's something so glamorous about a wine bowl, piled high with ice and stocked with champagne and white wine. For your Christmas and holiday gatherings, consider investing in a timeless, oversized silver bowl that will invite guests to pop the bubbly and celebrate well. When it comes to holiday dishes, there's really nothing as nostalgic and traditional as the Spode Christmas Tree collection. Chances are even if your family didn't have a set, you knew someone who did. Keep the tradition alive with their classic 4-piece dinner set that's perfect for family dinners or a small gathering. Long weekends with family often mean raiding your well-worn collection of classic board games. If you want to set a more 'grammable scene for your holiday get togethers this season, might we suggest purchasing an eye-catching version of your favorite game? Backgammon is a classic board game and we love the bright colors of this version. Why not turn your Christmas party into a game night? Is there anything better than a hot buttered rum or a hot toddy during the holiday season? Alcoholic or not, we love the look of a hot drink in one of these clear glass mugs. The best part? Their so affordable you can stock up and enjoy toasty warm drinks all season long. Entertaining over the holiday season can mean exactly what you want it to, which means you might have a formal seated dinner for 12 or just a cozy night in with your girlfriends, a plate of cookies and a screening of "The Holiday." If you're planning a festive night in, wrap yourself (and whoever else you've invited, wink wink) in a stylish and season tartan throw. When Is the Best Time to Buy a Stove? What's the Difference Between Fine China, Porcelain, and Dinnerware? What's the Best Time of Year to Buy an Air Conditioner? Which Appliance Is Best for Your Kitchen? Wall Ovens or a Range?